PQQ is generating a buzz as a nootropic for enhancing brain cells’ “power plant” mitochondria, pictured. In this review, I am going to cover a cell energy nootropic that is big in Japan: PQQ (Pyrroloquinoline quinone). Just think of all the great things from Japan that become massive cultural trends in the West. Sushi! Ninja warrior! Iron Chef! And now… PQQ? Maybe. PQQ is a prized nutritional supplement in Japan, where its purported anti-aging benefits include support for sharp mental clarity. PQQ has a compelling back story and some off-the-charts antioxidant activity… but can it deliver enough nootropic benefits to live up to all its hype? Let’s check it out. TL/DNR: PQQ is a unique compound similar to B complex vitamins. 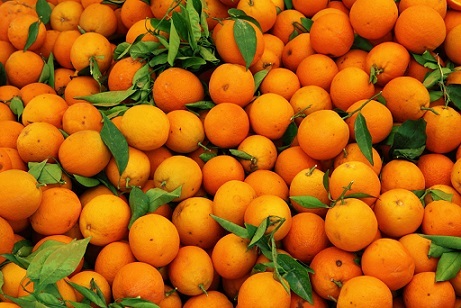 It is known for its high antioxidant activity – suggested to be 5000 times as strong as vitamin C – and the apparent ability to protect mitochondria against free radical damage. In a nootropic context, these bioactivities are believed to fight age-related cognitive decline. Let’s review PQQ in more detail. Is PQQ a Good Nootropic? In this review were talking about PQQ is a nootropic. But if we step back and look at the bigger picture, PQQ appears even more significant. PQQ is important for cellular health. Okay, so maybe that sounds a little boring. But as it turns out, PQQ’s role in cellular health borders on the cosmic – literally. 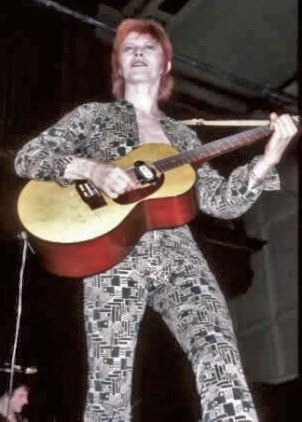 PQQ is reputedly present in Stardust. We are talking literal Stardust here, i.e., interstellar particles. 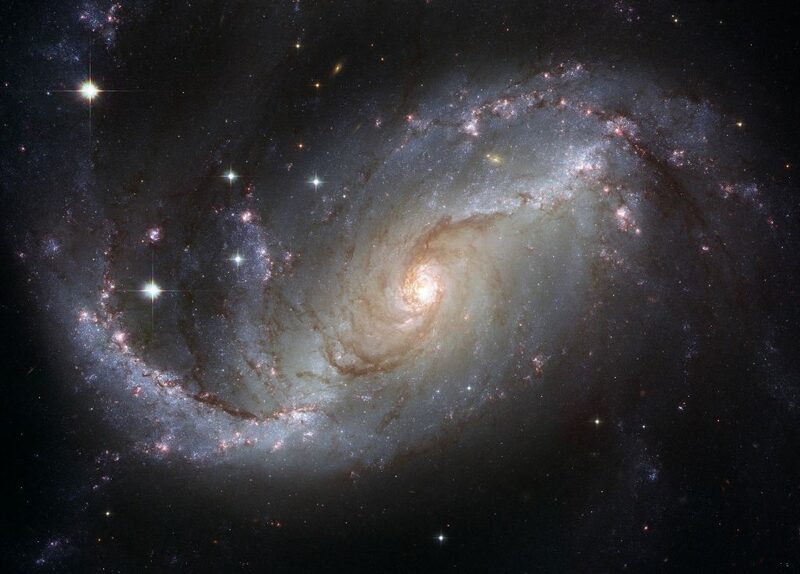 Supposedly, at least according to the sci-fi marketing stories, PQQ carried to earth at the beginning of time played a role in the genesis of life itself on our planet. Just imagine it: A comet streaking through the interstellar dust clouds, picking up some PQQ along the way, and streaking through the universe for millions and millions of years until getting sucked into the atmosphere of a newly formed planet Earth, breaking up and plunging into the primordial soup below. Does it sound like BS? Yeah, kinda. I think the PQQ-Stardust story is great, but is also likely greatly exaggerated. But here’s the thing: PQQ is one of those life-promoting nutrient that sparks a number of different biological activities we need to survive. It is a cofactor for enzymes, a growth factor for newborns, and a key player in the bioenergetic processes that power all life forms. As a supplement, it is noted for helping immune function, cardiovascular health, nervous system health, and yes, cognitive function. 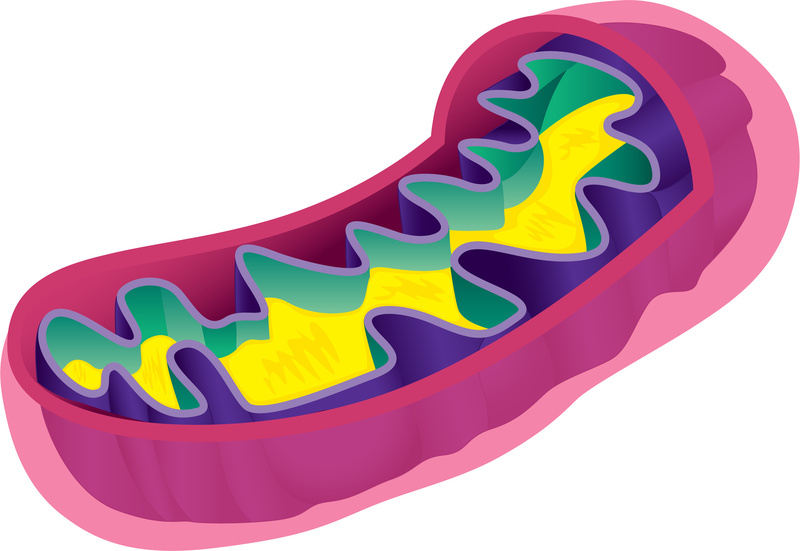 Mitochondria are the power plants that generate energy for all cells. But since the brain is such an energy intensive organ, mitochondrial function seems especially important for healthy cognition. As we age, mitochondria may start to malfunction due to the damage accumulated from destructive free radicals over the course of years. Some research has suggested that damaged, misfiring mitochondria appear to be linked to cognitive decline, including neurodegeneration. PQQ appears to be an incredibly potent antioxidant. In fact, it has been suggested to possess up to 5,000X the redox capacity (antioxidant potency) of vitamin C.
PQQ’s high antioxidant activity has been suggested in animal research to protect cells against oxidative stress while maintaining healthy mitochondrial function. It seems to suggest that protection extends to provide specialized support for the mitochondria. In addition to protecting existing mitochondria, PQQ has been suggested to stimulate the biogenesis of fresh new mitochondria. Researchers have suggested that by sparking the creation of new mitochondria, PQQ multiplies its benefits, indirectly supporting longevity, cell energy efficiency, and resistance to free radical damage. Additional research seems to attribute PQQ’s mitochondria-Genesis activity to act as a potent enhancer of nerve growth factor (NGF) production. Those same researchers suggested that PQQ esters may have potential to be developed into therapies for some neural problems in both the central and peripheral nervous system. Animal Research: PQQ’s importance for mitochondrial function appears to be borne out in one animal study. In it, young mice who were deprived of PQQ to the point of deficiency were found to have a 20 to 30% reduction in the number of mitochondria in liver tissue. PQQ supplements were found to reverse deficiency and restore mitochondria numbers. This potential PQQ benefit is hard to validate, but appears highly significant to brain health. Researchers have suggested that PQQ appears to inhibit the formation of amyloid proteins, dangerous irregular clusters and tangles that are strongly linked to onset of Alzheimer’s and other neurodegenerative problems. Researchers suggested that PQQ’s anti-amyloid activity has potential as a therapy in these cases. Supplement makers claim that PQQ helps with long-range brain health. Some of them seem to place PQQ in an anti-aging category; for example, saying that cognitive health is just one extension of its overall whole-body anti aging benefits. Others will make performance-oriented claims that PQQ promotes mental energy, memory, and overall cognition. 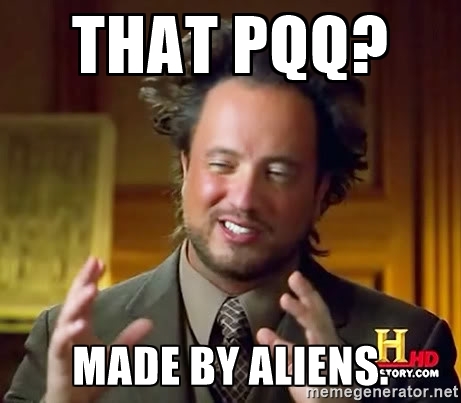 Still others will claim PQQ is some extraterrestrial life-sparking space-dust from Planet Queen. If you ask me, PQQ is an intriguing nootropic that likely offers reliable support for healthy aging of the brain. In other words, to me it seems more of a brain health nutrient than a brain power-boosting nootropic. In theory, PQQ’s unique support for mitochondria might result in greater overall brain energy and enhanced brain cell energy efficiency. Whether or not this feels like an “energized brain“, I am not so sure… but some reviews do seem to reflect some mental energy effects. Let’s see what the researchers have to say. In this study, 71 volunteers aged 45 to 65 took PQQ 20 mg capsules, or 20 mg PQQ caps with co-Q10 300 mg, or a placebo daily for a span of 12 weeks. Throughout the study, subjects underwent a cognitive performance testing. At the study’s conclusion, researchers reported that PQQ supplementation brought significant enhancements to word memorization, attentional performance, and recall. Researchers also reported in improved some aspects of mental processing. PPQ seemed to work better when it was paired with the coenzyme Q10. This study seems more than a little questionable, quality-wise, but here we go: 17 adult study subjects with sleep problems and fatigue took 20 mg of PQQ every day for a span of eight weeks. Throughout, the study subjects took questionnaires that covered several aspects related to quality of life, including mental performance. At the study’s end, researchers reported that PQQ supplementation seemed to improve quality of sleep, mood and emotional balance, and suggested PQQ may help with fatigue. The researchers tied these benefits to PQQ’s antioxidant and mitochondria-supportive benefits. Keep in mind the limitations on human research for PQQ – because of this, it is impossible to determine what the “right” dosage is. Animal research supports PQQ’s safety; no surprise here as it is naturally present in ourselves anyway. I have not taken PQQ as a standalone supplement. I believe in the bioactivities behind PQQ, especially as they relate to brain health. However, in my opinion, CoQ10 is a better option for me. Like PQQ, CoQ10 has unique energizing antioxidant activity, and seems to concentrate that activity in the mitochondria of cells. The big difference when it comes to CoQ10 vs. PQQ? CoQ10 is way more researched than PQQ, and usually cheaper to buy as a supplement. I say yes. BUT, The Geek’s thumbs-up is tentative here. Perhaps the best way to say it, is that PQQ is loaded with potential. Its close connections to mitochondrial performance and sell health, especially in brain cells, seems to suggest an important role in overall brain health. The anti-amyloid research makes PQQ even more intriguing. The animal research on PQQ is compelling, even exciting, and there’s a boatload of it (relatively speaking). But for some reason, human research lags way behind on supplemental PQQ. For that reason, I can’t get super excited about PQQ, but I do expect we’ll see some more positive brain research on it in the future. Maybe then this Japanese import will be vaulted to prominence like the Iron Chef and Ninja Warrior that came before it. It’s all in the name: Performance Lab Energy is a performance enhancement supplement designed to boost brain and body energy. And not your cheap-O, caffeinated brand of energy but the good kind of energy. The nootropic kind, boosting natural energy production rather than supplying synthetic stimulation. And, yes, Performance Lab Energy does this via PQQ (as BioPQQ®) and other mitochondrial enhancers, including Acetyl-L-Carnitine, R-Lipoic Acid (as Microencapsulated Bio-Enhanced®), and Coenzyme Q10 (as MicroActive® Q10) — not to mention nutrient absorption enhancer Bioperine®. 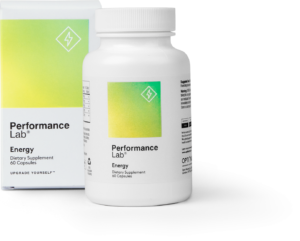 If the numerous ®’s didn’t give it away, Performance Lab Energy is packed with premium, patented, high quality ingredients, all of which are presented in their best, most bio-available forms. I mentioned that I prefer CoQ10 to PQQ earlier. Well, Performance Lab Energy supplies both — and then some for a well-rounded mitochondrial mind booster. Read my in-depth review on Performance Lab Energy. And thus “Unfair Advantage” might be a bit hyperbolic because, well …like I said: Unfair Advantage only has two ingredients. 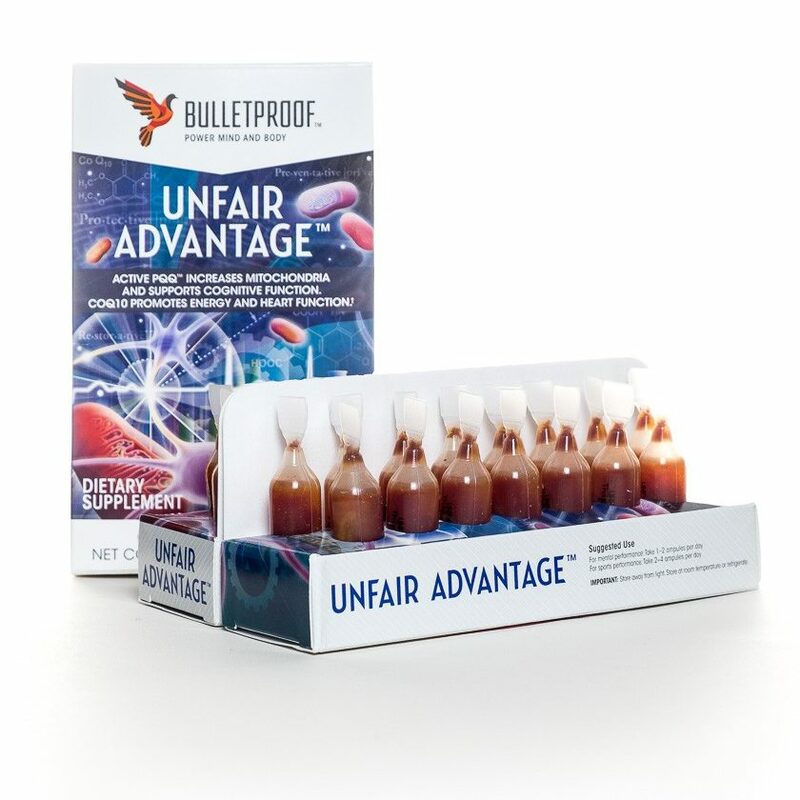 If these ingredients truly gave you an unfair advantage, then every nootropic stack would carry them. Having said that, they do possess significant brain energy, ehrm… advantages — by way of the antioxidants’ neuroprotective effects on mitochondria. As a daily nootropic supplement, Unfair Advantage may actually accomplish substantial boosts on mental and sports performance over time. It’s a simple design that works insmuch that PQQ and CoQ10 work. And, yes, PQQ and CoQ10 work pretty well. Read my in-depth review on Unfair Advantage. Human research has observed positive effects with PQQ at 20 mg. And Awakened Alchemy supplies PQQ (as Pyrroloquinoline Disodium salt) at 20 mg per serving. So, there you have! Case closed: Awakened Alchemy works! However, it isn’t simply PQQ that works in this energizing, yet oddly relaxing brain health stack. In fact, PQQ isn’t even the most impressive ingredient in Awakened Alchemy’s formula, which features two popular nootropic synthetics: Sulbutiamine and Noopept. It isn’t often that you see these two ingredients in a mainstream nootropic supplement, let alone see them together. 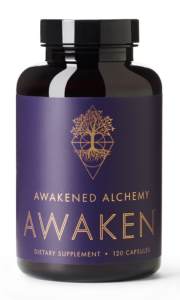 Yet, Awakened Alchemy stacks these powerful cognitive enhancers with natural nootropic extracts and compounds, achieving a unique, effective natural-synthetic hybrid brain booster. As such, Awakened Alchemy may not appeal to everyone — namely the all-natural nootropic crowd — yet, it’s an awesome PQQ-containing supplement nonetheless. Read my in-depth review on Awakened Alchemy. The Qualia Original Stack blew my mind in a way that ultimately deterred me away from the two-fer-one superstack: it simply had way too many ingredients. Qualia Mind, thankfully, cranks the ingredient count way down to 28 ingredients …which, okay, is still pretty damn high. But it’s simple enough to restore my confidence in this stack. 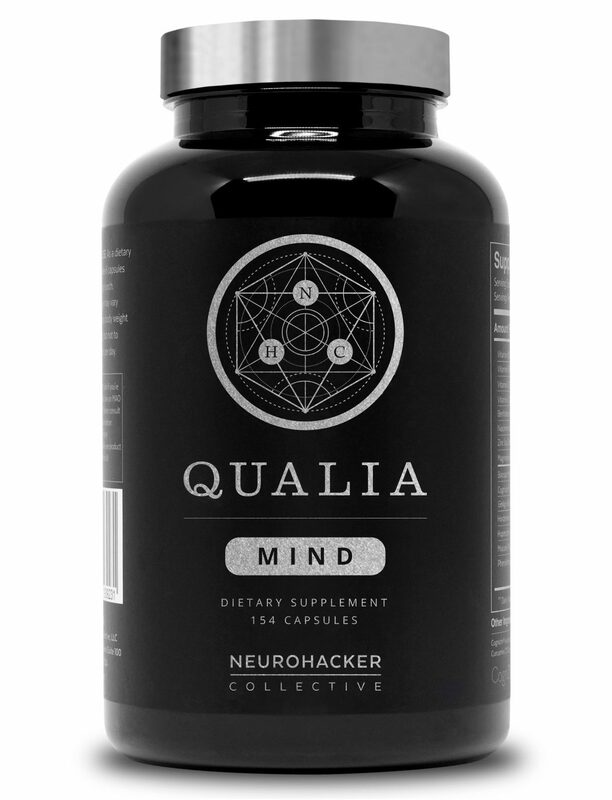 And, yes, one of Qualia Mind’s ingredients is the almighty PQQ, delivered in standard form at 10 mg per serving. Admittedly, PQQ isn’t Qualia Mind’s best ingredient, at least from a quality standpoint. Most supplements that carry this antioxidant do so in some enhanced, patented form — e.g., BioPQQ®. 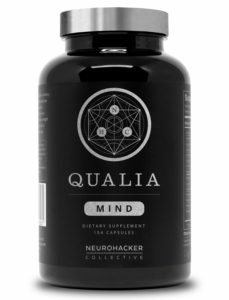 Yet, I won’t dock Qualia Mind too much on this point, given that this giant supplement stack somehow miraculously manages to make its ambitious 28-ingredient formula to not only work but work very well. That alone is worth quite a bit — PQQ or no. Read my in-depth review on Qualia Mind.